I’ve got furry bad news for you: Bubsy: Paws on Fire has been delayed. It will be now coming out on May 16th, 2019 from its initial April release date. The publisher Accolade announced the bobcat won’t be coming back to the PS4 for another month. No reason was given for the delay, but to make up for this catastrophic delay, Accolade told us a tail about physical editions for the game. 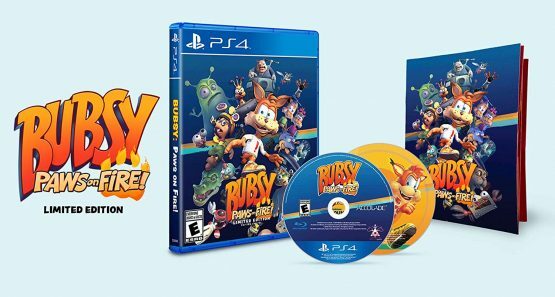 The Limited Edition will be releasing on PS4 and Switch with a CD sampler of the soundtrack, a deluxe Player’s Guide with “never before seen images” of Bubsy and his crew, and for the Switch version only (sorry PS4 Bubsy fans), a reversible custom cover. The Limited Edition will cost $39.99, but if you’re not feline that, there will be a standard edition too for $29.99 with just the game. This Bubsy title, unlike the last disappointing game, is being developed by Choice Provisions, the studio behind the well regarded Bit Trip Runner series. In Paws on Fire, the ridiculously named Oinker P. Hamm is trying to capture every animal in the universe for his Amazootorium. Try saying that mouthful of yarn five times fast. 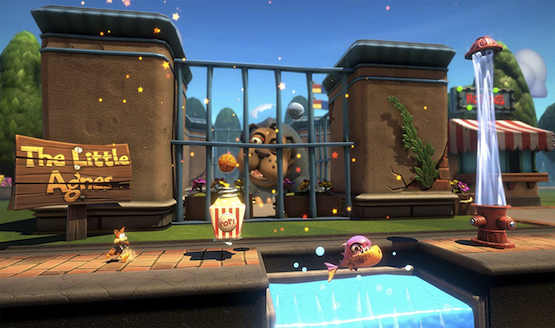 Fearing being taken by Hamm, Bubsy tries to stop him alongside three of his gang. If you’re a Bubsy fan (Are there any? Let us know), you’ll like that Oinker, Terri, Terry, and Virgil Reality from the pilot cartoon show, have returned for Paws on Fire. Does this bobcat deserve another chance for a great platformer? Will the dealy help this game’s chances, or has he run out of his nine lives? We’ll see on May 16th.